Hee heee. I just wanted to share a lightyears short of production-quality image of the beginnings of my new user info page. The main reason of having this is to manage and edit developer keys that will be compiled to a config file for teh abckend, so that you don't have to put them up in the html page. However, I couldn't resist adding the option of storing a mug shot as well. 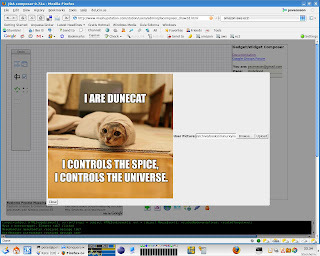 As you all can see, I am actually dunecat. Who knew?